Trap by John Wayne himself, this house is just plain goofy. 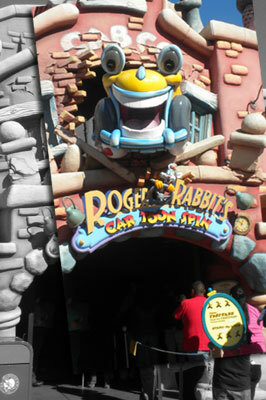 Guests struggling with compulsive shoppers should be forwarned that this attraction exits into a souvenier shop. If you are traveling with mange or Jiminy Cricket fanatics, you may want to leave copious time for the inescapable themed photo place.